Stand For Trees has created a solution to put the power of change into your hands. 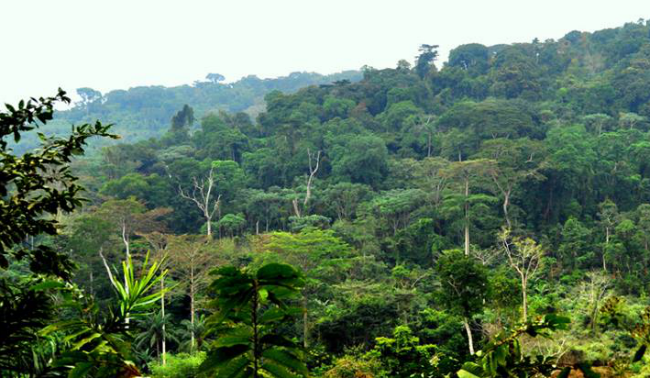 Through an innovative online platform, SFT uses the power of social media and crowdfunding to enable individual citizens to take real and effective action to reduce deforestation and curb climate change. 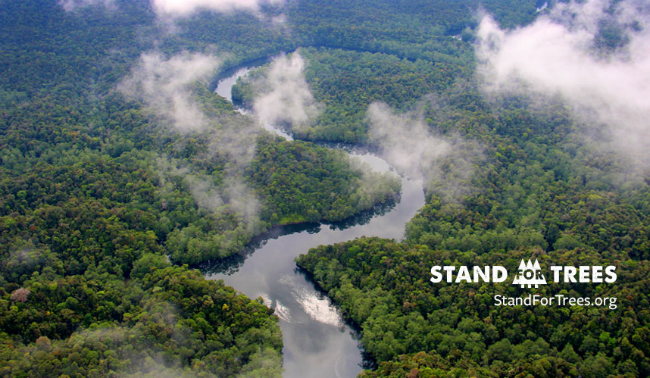 Now you can actually do something to take a stand for the future of our environment by purchasing Stand For Trees Certificates (aka carbon offsets) that protect threatened forests of your choice. THIS is what we've all been waiting for. A direct, tangible and meaningful way that you as an individual can get involved and make a lasting difference. The Stand For Trees platform allows individuals to use their cell phones to buy certificates in projects around the world. When you spend $10 on a Stand For Trees certificate, you prevent 1 metric tonne of carbon dioxide from being released into the atmosphere. How awesome is that?? Proceeds from the Stand For Trees Certificates fund the development of sustainable livelihoods and the protection of forests in specific REDD+ (fyi REDD+ is a UN initiative that stands for Reducing Emissions from Deforestation and Forest Degradation) projects in various locations around the world. REDD+ funding already has been used to, among other things, build schools and medical clinics, dig clean-water wells, and train and equip forest rangers to prevent illegal logging and animal poaching. You can learn more about REDD+ projects here. The ultimate goal of REDD+ and the Stand For Trees model is to provide incentives for local landowners and communities in developing countries to keep their forests standing rather than cutting them down. This platform empowers individual citizens to play a role in the fight to mitigate climate change and take a stand to do something positive for the future of our environment. Check out the Stand For Trees website to learn more about how YOU can get involved.